I want to break down Wholesale Real Estate business for you in 3 steps. By the time you finish watching this video, you won’t have to wait to close a deal to create cash flow. It’s a business model, a sector of real estate investing, that allows you to secure equitable interest in real properties at a discount typically at 65% of the market value or lower, then turn around and sell it to others for a profit. That’s a quick wholesaling real estate 101 for ya. There are tons of wholesale real estate books, websites and seminars out there and that has posed to become a challenge like anything in life. It’s not saturated if you are a master of people and marketing. 1. Find a motivated real estate seller who wants to get rid of a property and its liability. Traditionally, direct mailing, knocking on doors, calling for sale by owners are ways to find them. In today’s digital market place, those are very expensive strategies. 2. Negotiate an off market discounted deal with seller. 65% price to value ratio or lower. The more motivated a seller is, the easier your life will be. You can secure these equitable interest with wholesaling real estate contracts. 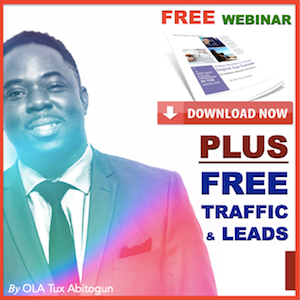 In this video, I expose and attraction marketing method that makes the motivated seller chase you down. 3. After negotiation a deal at 65% of the after repair value minus the cost of repair, off investors, cash buyers and sometimes, retail buyers the property at 80-90% of the market value. Between the motivated seller and the wholesale buyer is your profits which is typically between $5,000 and $30,000. First of realize now that the #1 skill you need to learn is marketing. When you learn how to ATTRACT DEALS (forget finding), there are professionals such as attorneys, title companies, mortgage bankers ready to the paper work and low wages activities. No. However, having an easily accessible license privilege within your team can save you a lot of time. This is what the gurus teach on how to wholesale real estate without a license. “Contact local realtors and ask them to send you comps.” Yea right… as if they are not busy already and they are just waiting for you to call. There are tons of old knowledge out there like that. My goal in this free training is to enlighten you on how the digital market space has changed real wholesaling and how to leverage that to your advantage, even for multiple streams of income; enhanced cash flow even if you haven’t closed a deal ever.